Another quiet day with the threat of rain spent at the computer. This time I was trying to add to the gallery website and learn some Flash techniques along the way. I’m getting there but it’s a long haul. And then the cabin fever struck and I gathered up the kids and we went to the movies to see the new Disney flick, Wall E. Very cute. Very Disney. When we got home the sun was out and there had been no rain. 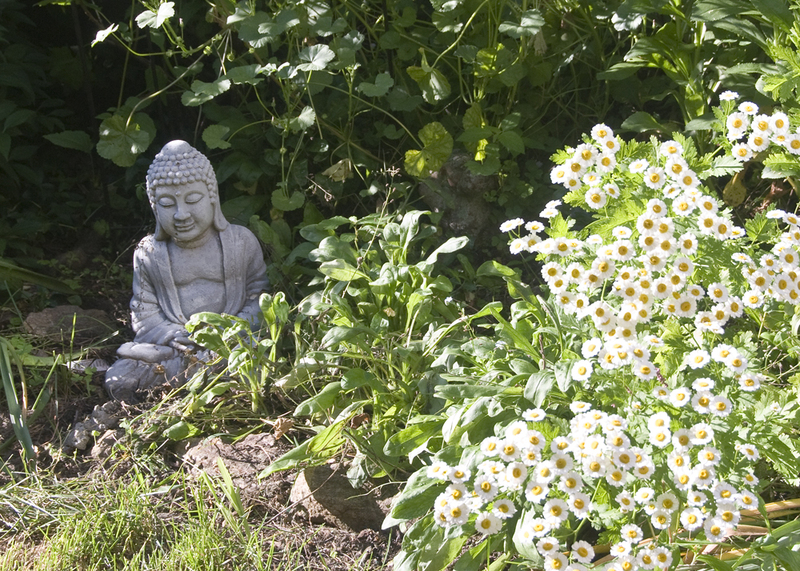 I took this picture of the Buddha statue in the newly weeded garden patch. Everything is growing so nicely this year. ~ by photobella on 27 June, 2008.